Then Austin Wedding Photographer Ben Godkin became my hero. He mentioned a WordPress Plugin called Facebook Comments for WordPress and how he used it to increase traffic to his site. I followed his lead, and I immediately jumped up over 5,000 pageviews a month literally the first month that it was installed, and I’ve been growing ever since. Want to see if it works for you too? Here’s what you need to do. 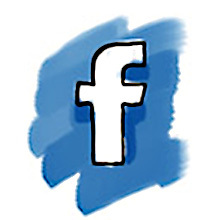 Facebook’s official comment plugin can be found here. Follow the directions to get this set up on your blog. It can be a bit tricky to get set up, but if you need help, there are lots of tutorials online that can help you set it up. Once it is set up, you shouldn’t have to worry about it again, and it’s totally worth the extra traffic it will bring you. Now when people leave a comment using the Facebook comments, it shows up on their wall with a link back to your site (unless they manually tell it not to post to their wall). While this may not seem like a big deal, word of mouth referrals are some of the most powerful out there, so you now have a comment from them about your work linking right to it that shows up on their news feed for all their friends to see. To encourage this, whenever I post a wedding on my blog, I offer the couple a free print if they can get a certain number of people to comment on the blog post, and a canvas if they can get an even larger number of people to comment. I tell them they are responsible for spreading the word about it, and they have one month to get the comments they need for the free gifts. It works wonders. They send their friends who comment about how beautiful they are in their photos, and all their friends see it and want to check it out too. Not only did it spike my traffic, but I’ve had at least one booking that I can directly attribute to using this plugin. The couple contacted me saying that they saw a comment about our work on Facebook from a friend of theirs, and they had just gotten engaged and loved what they saw. They booked me soon thereafter. I have no doubts that it has brought us other leads as well, as we always get a spike in inquiries after we do this. If you need more photography clients, check out our 6-Week Online Marketing Course called Marketog, which runs a few times each year. If it isn’t open right now, you can sign up to be notified as soon as enrollment opens again. Check it out!